not quite enough wind exposure or new snow accumulated, that is why we picked on this area on a high hazard day. Burn scar area in Payson Canyon just below Pete Winward area and above what has been known locally for years as the "Ski Hill" because back in the 40's a rope tow existed in the flatter area below. 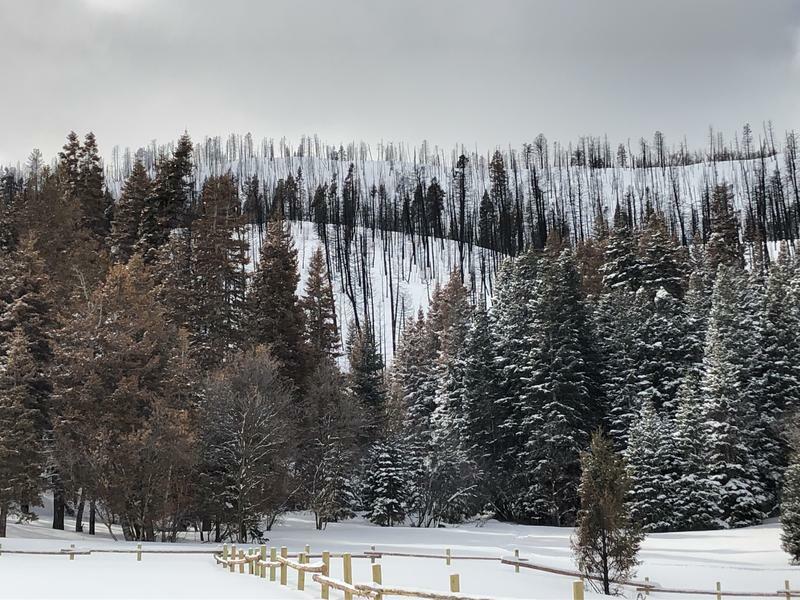 We would have never been able to ski this area before the fire, but it now sticks out in such contrast, and is just off the main canyon road.